Before photography came along paintings were undoubtedly the best way of providing a lasting imprint of a person’s physical appearance. It’s always confused and delighted me how dabs of paint on a canvas can be transformed into a likeness of a person, and at the hands of the best artists, can reveal a true sense of temperament and character. 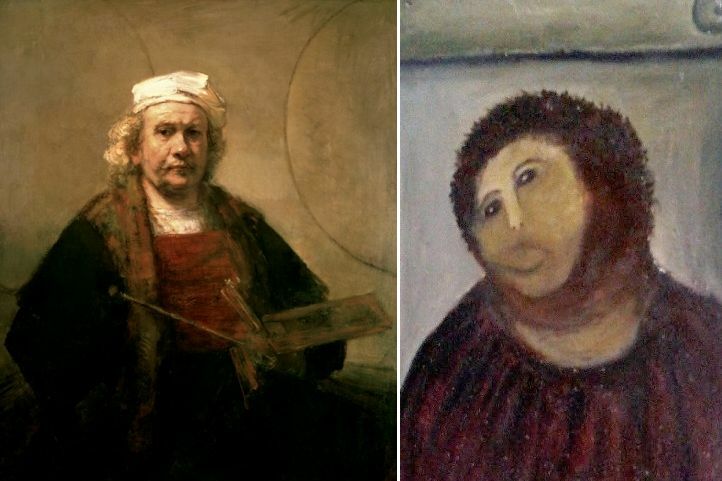 And due to our natural predisposition to study faces, it is perhaps one of the hardest painterly tasks to get right (one only needs look at the sincere but botched ‘Monkey Jesus’ Fresco to see how wrong it can go). With this, the self portrait is perhaps the most honest form of exposure an artist can undergo. It has enabled the likes of Rembrandt, Van Gogh and Frida Kahlo, to display their changing faces, both physically, and as artists. Another great, but lesser known, artist to provide us with a lasting impression of his changing face is Felix Vallotton. Felix Vallotton, Self Portrait, 1885. 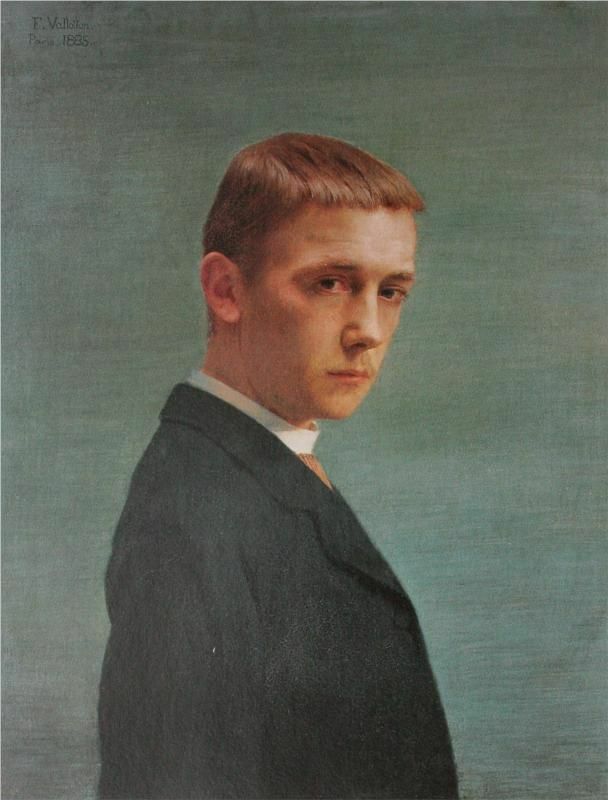 One of Vallotton’s earliest self portraits was completed in 1885, the artist aged 20. Here we’re presented with an artist fresh out of his teens, with a mere fuzz of facial hair and innocent gaze, and yet the slight curl of the lip marks a determination and forlornness beyond his years. This early example nonetheless prefigures some of the older Vallotton self portraits. The left turn of the head is common, casting his face in half profile, while those eyes stare piercingly in our direction. Self-portrait, 1897. Oil on cardboard. 59 x 48 cm. RMN-Grand Palais. As age caught up with Vallotton we see responsibility creep into his face. His huge output must have taken its toll and the 1891 portrait (Vallotton here reminiscent of a young Dustin Hoffman) is fraught with shadow, his face seemingly resigned and weary. The two woodcuts from 1895 reveal deepset lines below the eyes and around the mouth, and yet a 1897 portrait seems to offer a more youthful portrayal, perhaps owing to the fact he met his future wife the year before. 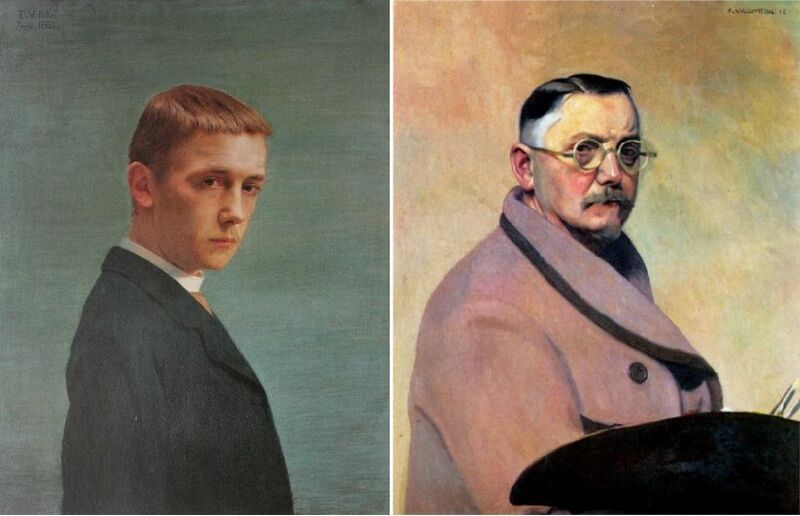 The latter paintings reveal the onset of grey hair and glasses as Vallotton settled into his later years, and yet the pose and gaze are almost identical from his youthful paintings. Right: Self Portrait, 1914. Oil on Canvas. 81 x 65 cm. As only the best portraits can, Vallotton’s selfies seem not only to reveal the artist’s changing face, but also the juxtaposition of unity and flux that a person undergoes over the course of their lives. Should these portraits inspire you to take a look for yourself, Vallotton’s newly opened retrospective at the Grand Palais should do the trick. If that’s a little too far afield, you can always pick up a copy of the new Nathalia Brodskaia Vallotton title (available in print and ebook format), to find out about the man behind the paintings. Previous Entry Il s’agit de Mimèsis, Mesdames.